This is for a set of Red Straps (2 front and 2 back). Be sure to choose your shoe size. These are for the articulating wood sole sandals created in Europe in the 40s as a utility shoe then remade in the US in the early 50s as a novelty item sold door-to-door or at in-home parties. The straps are interchangeable and can be switched out to match your outfit or spice up your outfit with different color straps on the front versus the back. 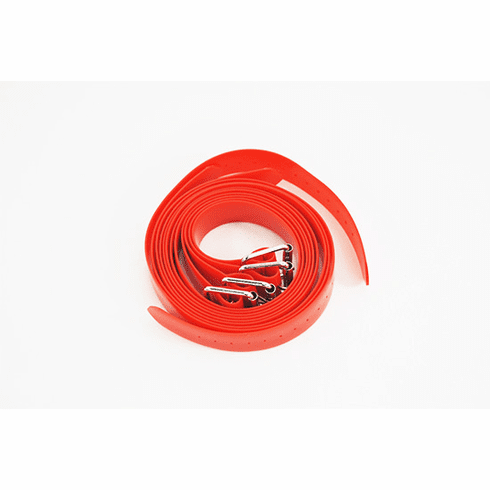 These straps can be used with Flexiclogs or Flexiheel sandals!